Is your insurance company giving you the runaround regarding a claim? If yes, the Miami insurance attorneys at Friedland | Carmona can assist you in obtaining the money you deserve. Insurance companies continue to become wealthier and more powerful by selling policies and collecting premiums from their customers while minimizing payments out to customers on claims their customers rightfully bring and have paid for those protections in their insurance policy. Insurance companies often delay or deny payment of a claim or offer very little money for a larger claim. While insurance companies owe their clients the duty to act in good faith and engage in fair dealing many of the insurance companies’ customers are undercompensated for their claims. If you are insured then you are entitled to full compensation for your losses as listed in your insurance policy whether it is automobile accident insurance, homeowners insurance, flood insurance, etcetera. The Broward insurance attorneys at Friedland | Carmona will fight the insurance companies for you to help you secure the compensation you deserve. While insurance companies owe a high duty of care, also known as a fiduciary duty to their insured customers, the companies may engage in dishonest practices that result in the wrongful denial of your claims. Insurance companies look for technicalities and ambiguities in your policy that allow them to avoid paying you the compensation you deserve which may be an affirmative breach of contract. Many insurance companies use this tactic to intimidate policyholders into accepting less than a fair settlement of their claim. Many customers often feel as though they must accept the insurance company’s reasoning for the denial of their claim or accept the offer the insurance company puts forth. Do not be a victim of such tactics—the insurance company is required to pay you what you are entitled to as outlined in your policy! Please don’t let the insurance companies intimidate you! If the insurance company violates the policy contract, you, as a policyholder, may sue the company to obtain the compensation you deserve! Claims against the insurance companies need to be investigated by a skilled and knowledgeable lawyer who has experience recovering compensation for the policyholder. The Coral Gables personal injury attorneys at Friedland | Carmona have the necessary skill, knowledge and experience to recover what the insurance companies owe you! With over twenty years of combined experience in handling these types of cases the attorneys at Friedland | Carmona can assist you and your family in getting the recovery you deserve. Jonathan Friedland has tried insurance litigation cases in Florida and has a successful track record. The attorneys at Friedland | Carmona have successfully tried and won over 35 cases involving insurance disputes over medical bills. The Miami insurance dispute attorneys have represented hundreds of clients and medical providers against various auto insurance companies and the jury awarded compensation in all cases, including payment of attorney’s fees in most instances. The Miami Beach injury lawyers at Friedland | Carmona have successfully provided legal services to many clients in connection with insurance litigation and coverage claims in a wide variety of contexts. Allow the attorneys at Friedland | Carmona to assist you in obtaining the fair compensation you and your family deserve. Call Friedland | Carmona at 305-661-2008 or fill out the contact information to your left to receive your FREE consultation. 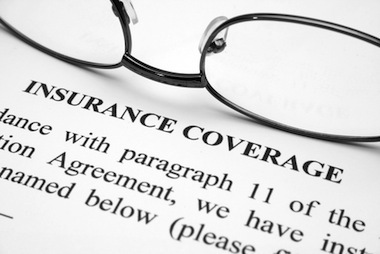 You will receive advice and a thorough review of your insurance litigation claims and options. Many victims never get the settlement they deserve because they are unsure if they have a claim. Don’t hesitate—Contact the successful Miami personal injury lawyers at Friedland | Carmona today! Let our family take care of your family!